Woohooo everyone, the fly fishing season is in full double haul now! Past clients coming up for another year with new friends and catching great trout. May 3, 2018 my friend George and I floated 8 miles of the upper Sacramento River with stellar fly fishing guide Jack Trout. It was my second guided fly fishing trip with Jack. Two years ago Jack guided me fishing the Conservancy section of the McCloud River. That was trip was one of the best fishing days of my life and the recent upper Sac experience was equally memorable. The fishing was steady all day, the river was pristine and much of the float was inaccessible to vehicles. It was an exhilarating day of fishing, rafting, and superior camaraderie topped off with a delicious lunch of Chilean chicken, rice pilaf, and salad. 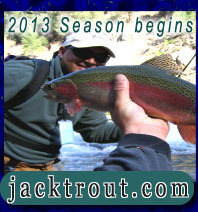 I am looking forward to next year’s fly fishing trip with Jack Trout! The life and times of Beef Dog, out on another river folks… Just when I thought he was getting too old. Fish on everyone, on the Upper Sacramento Raft Fly Fishing Float! Sweet! That’s a healthy babe there, nice red stripe too boot. Great catch, give him some oxygen and away he goes….After a bunch more, time for lunch. We also do salmon, just let us know and this is for no extra charge. We are still the fly fishing low price leader, highest value for the money in the fly fishing industry. Down on the Lower Sac, things are looking pretty good! That was one day to remember, and most of the trout were very large. Always tying up new bugs and patterns to set us apart in the fly fishing industry. I like to see the youth embracing the sport of fly fishing, it’s good to pass the torch and send a positive message to respect the outdoors and our national forests, you only get one change people. Way to go bro!! Hope your USFS Hot Shot Job goes well, thank you for keeping us all safe, you are a hero in all of our eyes!!! First day we floated the upper Sacramento River in an inflatable. The rapids were very mild. Jack has been floating this stretch of river for better than 20 years, so he knows every rock by name. He is in expert rower; you feel completely comfortable. Of course my wife caught the biggest fish, a beautiful 17-inch rainbow. She also caught the most fish. The second day, my lovely wife gave me a break and did not fish. I caught several nice big rainbows. I had at least twenty strong strikes that didn’t set. And I had several good fish on that escaped. That was probably my fault for not keeping my rod tip up enough. It’s very important when you hook up, to keep your rod nearly straight up. We fished using 5wt rods with a strike indicator with two or three flies below it. All the fish we caught hit the lowermost bead head nymph. Jack also has a rod rigged for dry fly fishing and I cast to a number of rising fish. The float trip is through the national forest and it’s just beautiful. And added to that, we were the only people fishing on the river. 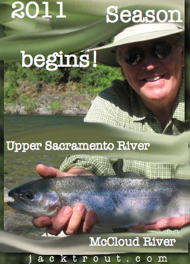 Jack’s the only guide in the area with a permit for that stretch of the Sacramento River. So there are no other guides /fishermen fishing from the shore or floating. All by yourself! Imagine that in California. Jack Trout is an excellent fishing guide and a decent man. He grew up in the area, over in Portola and his father was also a fishing guide. So you would be hard-pressed to find a more knowledgeable guide. He is very good company. He’s patient, personable and professional. He is a member of the California Historical Society which makes for some very good, and dare I say, educational conversation. And he has everything! Rods, reels, boots, wade socks, waders — you name it. And as if that weren’t enough Jack is an excellent cook. He actually serves up hot cooked meals on the river and they are gourmet quality. I kid you not. On my third day of fishing with Jack Trout Fly Fishing, Jack sent me down to Redding to fish with a young guide named Ryan. And what a day we had. We fished from a drift boat, a McKenzie type boat. Those trout down below the dam are big and strong. I caught 3 big strong rainbows in the 18 to 20 inch range and had another 15 fish on that I failed to bring to hand. I must have had another 20-25 strikes that day that did not hook up, just because. Sometimes you do everything right but the fish just don’t take the hook. All the fish that we hooked were big — all better than fifteen inches. Ryan is also great company and a good instructor, a first class guide. 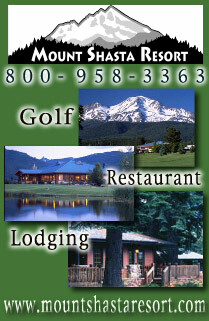 We stayed in Mount Shasta at the Best Western Treetop hotel and we found it very pleasing. 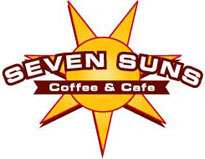 It’s clean and comfortable and the staff there could not be kinder. Everyone there greets you with a smile. If you’ve never seen Mount Shasta, you are missing it. The mountain itself is impressive. It’s better than 14,000 feet high and you won’t find a prettier mountain anywhere. The people are friendly. We will definitely be fishing with Jack Trout again. Happy hookups! Catch the last week of Wild Azalea blooms in the Shasta/Trinity forests, it smells so fragrant, you won’t be disappointed. Michael Testa and his wife visited from Texas last week and we had a great time together. Michael was also getting information on his trip we plan to help him on in Patagonia Argentina 2018/2019. His wife Lili was a great angler going on a lot of Michael’s trips, she landed this beauty. 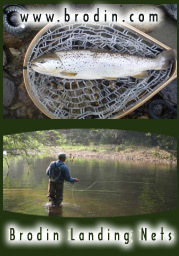 Many past clients brought a friend and they had great fly fishing days out in my raft. In places that no one else can get to or fish…. Wild Orchids on the Upper Sacramento River in Northern California June, 2018. Over on the McCloud river life is like out of Walt Disney movie, I keep having people catching trout in these picturesque scenes. 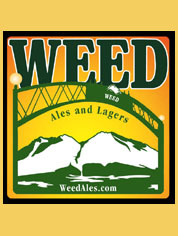 Also, you can’t smoke pot (Your Never Exhaled) in the National Forests, that is on Federal Government Lands, even if you are in the Legal Recreational Pot States of California, Oregon, Nevada or Colorado. Just the heads up out there and be careful with any fires its dry, put any butts in plastic and take it out of the forests, do not put that on the ground ever. Also, everyone camping use the USFS can or bury your waste with a shovel, toilet paper is unacceptable out in the forest, you wouldn’t do that in your yard. Bury it!!! 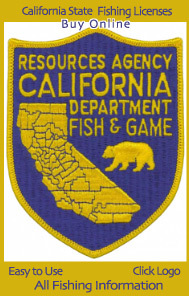 You can not fish without a fishing license. You can not have a fire pit or bbq without a forest permit, go by a local ranger station and be responsible, don’t be an idiot please. Oh boy this is a huge trout here, we got a look at him and he looked to be from the lake…..Then he dove deep. This has been one fish to remember, for sure my biggest trout on this season on the McCloud river. Oh, the crem de la crem of fly fishing, The Upper Sac Raft Fly Fishing Extravaganza !! With old friends I grew up with from Portola, California to make it all the better folks!! My dad was all of our teacher’s back in elementary school in Portola. Pat Frutenicht was the Captain of the Portola Fire Department and was there for all my younger years growing up on the Feather River in Plumas County. Noel was a lot younger than me but had some great stories about my pops as his teacher, we had an awesome day out there together. You can’t beat that, a healthy hard fighting Upper Sac trout with no one else around. Beef dog scouting for trout, trying to help the cause…. I sure hope my dad up in Trout Heaven is watching this! Thank so much Frutenicht Family, I never lost my love for Portola and Plumas County and all the great residents who live there. You need my hat for luck. Carola is still putting out great shoreline lunches, you can count on that. So I decided to upgrade to the new Regal Vice Limited Lime Edition, wow, never knew a vice could be so easy to use. Stonefly for the Klamath river salmon fly hatch, now appearing in a theatre near you. So much fun and what a distraction from driving faster than your windshield in the modern world, I tend to go backwards these days. Go tie some flies, you’ll thank me and yourself… Free fly tying lesson at my house for anyone who books a trip. Half hour lesson, I even have a 2nd vice. 🙂 You love it. I think I’ll use this on the Klamath river tomorrow for big trout on dry flies!! In our 24th season of guiding and outfitting, we love what we do for you and the fly fishing industry!! 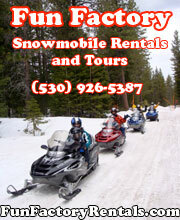 We are here to enrich your lives and bring families & friends together in the great outdoors!! 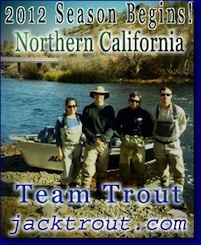 Hugs & high fives, Jack & Carola Trout & Team Trout Guides Worldwide. Clients and Beef dog are happy too. I always say, fishing guides are like baseball managers, we’re genuses when we’re winning!! lol That was on my monster fly I tied last night, what a reward. Soon Larry Dillin had another trout on in the Klamath river, it was amazing day, the fish were really looking up for food. Having been on many guided and non-guided fly fishing trips, I booked this trip through Jack Trout with reasonable expectations. No guide puts the fish on your hook. Their job is to guide you to opportunity. In that regard, Jack and Travis excelled. The fact that I may have snagged more trees than trout is strictly a reflection on me. Our experience was superb!! Jack & Carola handled all planning details – setting us up for 1/2 day wades on the McCloud and Upper Sac, as well as a full day float on the Lower Sac. Yet upon our arrival, it was clear that Old Man Weather was not planning to cooperate. Without me even asking, Jack proactively made changes to our trip – revising his own personal schedule – to maximize our fly fishing experience. We ended up wading Day 1 with Travis on the McCloud. Travis provided great counsel, locating fish and adjusting tackle as the afternoon progressed. And Oh Man, what gorgeous scenery! Day 2 Jack thankfully canceled the Lower Sac float (so we didn’t bake in near 100 degrees) in favor of a float on the Upper Sac filled with great water, plenty of fish, lively conversation…and more than my share of tree tangles. BTW, Jack was incredibly patient about that. Not to mention the patience Jack demonstrated when after an hour of driving to the put in, we learned my buddy left his license in the hotel. Jack took that in stride as he and my buddy went in search of a replacement license while I fished the bank. The scenery was incredible. And more than once Jack demonstrated his skills as a boatsman while smoothly navigating rapids. On Day 1 my fishing buddy had struggled with maneuvering the terrain and fast water on the McCloud. As well, on Day 3 we had to be back in Mt. Shasta so I could gather my wife at completion of her 3-day mountain climbing adventure. So with those added constraints, Jack adjusted his schedule on the fly – canceling our 1/2 day wade on the Upper Sac for a 1/2 day float on the Klamath. No complaints from Jack. He simply focused on what was best for us (his clients). Turned out to be our most productive day of fishing on a beautiful stretch of river with no one else around. Jack hooked me up with salmon dry fly that was just what those trout wanted. On the whole, Jack proved to be an astute business operator, a talented and knowledgeable guide, excellent chef (best meal I’ve ever had on a riverbank – better than most restaurants), witty and enjoyable conversationalist and all achieved with a clear focus on maximizing our fly fishing experience. Jack Trout will be my go-to guide service for as long as Jack wants to work. We got a call from a past clients son I guided 24 years ago when he was 12 years old. Nick Cornell and Tom Lupori were clients of mine two decades ago and he came back with a group of 8 so we waded them all on the Upper Sac. We were giving fly fishing lessons for various types of fly fishing that day. Our newest fly fishing guide local resident, Quin McDowell and his client were hooking the most that day. The Mighty Quin! and sons, as everyone caught trout that day out of Dunsmuir and learned how to fly fish. We provided all the gear and flies too. Our fly fishing guide Ryan Williams is really catching some nice trout on the Lower Sac. Now there’s a beauty you wouldn’t be ashamed of talking about at the high school prom. Get a waltz of this!! Fish on folks!! Steelhead in the Lower Sac, you never know folks when you’re on a guide trip with Ryan Williams, talk about pulling a rabbit! With some of the best trout fishing in the nation at times. No way!! Ryan how come this always happens on your trips? Amazing, folks you got to get in Ryan Williams boat, freaks of nature… Are happening!!! First hunter/fly fishing guide in Siskiyou County in the 1880’s was Justin H. Sisson, he was famous for his outstanding meals at his tavern in Berryvale and out in the field on his guide trips on the McCloud and Upper Sac rivers. 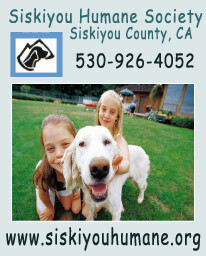 (Mount Shasta was first named Strawberry Valley, Berryvale and then Sisson, from 1888 to 1924.) on the Upper McCloud River on a guide trip, after his death in 1893 his wife sold this section of the river called the “Bend” to Charles Stetson Wheeler a wealthy attorney from SF, who was Phoebe Hearst’s attorney. (She was living on her enormous estate in Pleasanton, California at the turn of the century.) She came up in the early 1900’s after George Hearst who had incidentally also died in 1893, one look at those turquoise gracious glacial waters of Shasta and she begged Charles S. Wheeler to sell her a section of his men’s hunting and fishing club, he reluctantly agreed to a 99 year lease up at the Wyntoon section of the property. Later her son William Randolph Hearst would buy the entire 13,000 acre property from the Wheeler family after Charles Stetson’s death in 1925. The first Hearst Castle that was seven stories burned down around that time also, Charles had asked Phoebe to please built something modest at his men’s only hunting and fishing club. Snowshoe Thompson – Delivered the first silver and gold ore samples from Virginia City to Sacramento City that launched the Comstock/Grosh Brothers Lode in Virginia City in 1859. (This helped us win the Civil War intrinsically, because we had more money for ammunitions than the south, much of our gunpowder of that era was secured from the bat guano and nitrates from trading with Chile & Peru, later they would trade for our California Mountain Trout.) He was also the first pioneer Norwegian/American who delivered the mail from Hangtown (Placerville to Carson City), Never got paid most of the time when he delivered mail for our ancestors, never carried a gun, ate mainly grains and slept standing up. He learned from his father growing up in Norway how to survive in the coldest winter conditions, so he applied for the U.S. Postal Sierra Mail delivery job. He also saved the hope of many distressed gold miners and gold seekers when organized longboard ski races at the present day Johnsville Ski Park, near Graeagle, California. The site of the first known skiing in the United States, known as longboarding back then. Many weary, sick and tired miners that found out when they finally arrived California that gold did not actually grow to the roots of every plant in the ground. These races were documented as giving the miners a distraction to look forward to if only for a moment as the Plumas County winter back then could be brutally cold and enduring living on the Feather River back in 1853. A true American & California Sierra Legend John Albert Thompson, his grave still lies standing in Genoa, NV. First-time Flyfisher – will be back! I purchased a gift certificate for my friend, who wanted to try flyfishing. I decided to engage Jack Trout to arrange the experience. So happy I did! Jack “went the distance” to ensure that we had a fantastic experience. 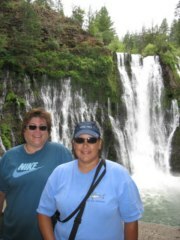 We were able to secure a date that worked well for us on the Deschutes River in OR with Brian Silvey. Brian was friendly, knowledgeable, accommodating and a great teacher. So patient and encouraging! We were fortunate to have perfect weather. This was an experience we will never forget and definitely want to repeat! We highly recommend Jack Trout. Brian Silvey Ladies & Gentlemen!! Give us a call to schedule your fly fishing trip on any river in Oregon. Stonefly Hatch now appearing in a theatre near you on the Deschutes river Oregon. Chris Wharton ~ Friend to Man & Beast. Pretty much man’s best friend in Nevada for fly fishing on the Nevada Truckee, Pyramid Lake (Close Now) Elko Jurassic Trout Lakes with special guest appearances by: Tiger Trout, Brown Trout & their new hit single The Wiley Rainbows On A Slim Line. A Top Ten Hit!! Everyone finds themself in Reno, Nevada about once every two years on average, when you have that extra day, we got a plan for your fly fishing get away and it’s a BIG DEAL with Chris Wharton as your guide!! All The Way To Reno! We got all the equipment, all you need is your hat, sunglasses, fishing license and sunblock. We make it easy, that’s why they call us outfitters, you work harder than your parents, we get it. 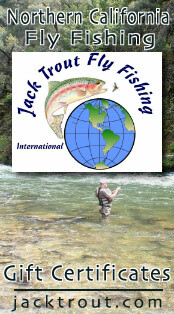 Jack Trout Fly Fishing International & Tours, It’s Our Experience That Sets Us Apart. Cutbow right? Holy cow Chris, how many species do you fly fish for out there in Nevada? What a great place to explore with Chris Wharton. Do we have great fly fishing adventures awaiting for you in Costa Rica on 3 rivers. You can be assured a wonderful day on rivers on and around Guanacaste, Costa Rica with one of our guides. All of our trips are under $400 USD per day for two anglers and it includes a great lunch and all the gear. This is really a spectacular country we are fishing in, you’ll like both our ocean and river fly fishing programs that are affordable and very professionally run and outfitted by Jack Trout Fly Fishing International. Every Location In Belize $450 USD for Two Anglers With All The Gear & A Great Lunch. Have you fished with us up in San Pedro, Ambergris Caye or Caye Caulker, Belize? Give us a call, we can help you with all aspects of your dream fly fishing vacation. 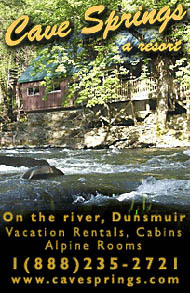 Lodging, fly fishing guides, restaurant lists, transfers, all fly fishing gear & flies always included in our prices. Many of our clients are returning very happy and catching not only bone fish but nice baby tarpon too on the fly. They call Bonefish the Grey Ghosts because they are elusive, disappearing before your very eyes. Interestingly, when we were traveling to Nassau Bahamas I thought it might be a great opportunity to spend a day in search of one of my bucket list fish, the Bonefish, and the Bahama Islands have a reputation as one of the go-to locations in the world… albeit, not the Island of New Providence or Nassau. After an exhaustive internet search I was starting to think I was going to be skunked in finding a Bonefish guide, expert, or fishery when I tripped upon Jack Trout Fly Fishing. After a quick Email to Jack Trout Fly Fishing we spoke on the phone, and I booked a one-day trip to Bonefish on Nassau as we vacationed at the Atlantis Resort on paradise Island. My wife would be accompanying me, but not fishing, so I wanted to make sure the adventure would be acceptable for her too, and Jack assured me that our guide would be dedicated to making sure we were both enjoying our days activities. Our guide, Sidney “Bonefish” Walker picked us up on time at the Marina in Atlantis where we were staying. He arrived in his sea worthy Boston Whaler Montauk with 140 HP Yamaha. From the beginning he was a perfect gentleman, conversing and sharing knowledge. I brought my own 8 weight rod and reel, so I can not comment on the equipment Sidney offered, but before we started to fish Sidney asked to see my casting capability so he could better judge how to best guide me to the fish. We traveled to an area near Rose Island where the water was flat and the island lined with Mangroves. We spotted several grouping of Bonefish, and I hook and lost a few early on that had weight to them. As the day wore on, the fish became more spooky and elusive. At days end I managed two Bonefish, both small… but still my first ever Bonefish. My wife fully enjoyed walking the flats and enjoying the new experience. In fact, after a week in the Bahamas, when I asked her what her favorite day was, she said “The day we went fishing”. WOW… she has never said that, in fact, mostly despises the idea of fishing. I doubt Bonefishing in Nassau is even close in quality compared to Andros or other Bahama Islands, but for the price and convenience I would not hesitate to fish again with Jack Trout Fly Fishing and guide Sidney Walker when visiting Nassau. I have the best fly fishing independent guides in all areas of the Bahamas $575 USD for two anglers, includes all the gear. We are also the Bahamas Tourism Ministry Fly Fishing Endorsed Outfitter. We are flat out making families dreams come true in the Bahamas, when it’s time give us a call, amazing trips lately. Our tours are going great in Cuba, we are the number one classic car company in Havana for tours. Many Americans are enjoying their time in Havana, Vinales, Trinidad, Cienfuegos, Cuba. Do we have great cars for you to tour and see the sites and engage in Humanitarian relief programs as well as historic locals. We are your approved resource for travel in Cuba, we have the knowledge to help Americans as well as the world with Cuban travel. Fusterlandia in Cuba is a interesting neighborhood to visit, some of our last clients from Florida really enjoyed it. Many of our clients are American Cubans returning back to their native lands for the first time. A visit to Jose Fuster street artwork project which since the 1990’s has been the most significant open artwork neighbourhood in Havana city inspired by the catalan artist Antonio Gaudi. – A visit to Finca Vigia (Vigia Farm) where the American writer Ernest Hemingway used to live from 1939 to 1960, which is since 1962 the very first Museum dedicated to the relevant writer and journalist. A short visit to Cojimar town where Hemingway used to keep his boat for fishing and he met Gregorio, an old locale fisherman who becomes later his inspiration for the famous novel The Old Man and the Sea. Stops for drinks. Exploring important places at the other side of Havana city Bay where big Spanish colonial fortresses are located which are used for protection from the pirates attacks and Spanish empire enemies. Stops by the Morro Castle for a fantastic panoramic picture of a big part of the city, some minutes at the 1962 missile crisis military exhibition and Jesus Christ Park. Price: $200 USD (for up to 3 people). classic American car and a bottle of Cuban rum to take home. – A stop at Los Jazmines look out point for the stunning panoramic view of the Viñales Valley. – A short walking tour around the downtown area in Viñales town. – A horseback riding tour for enjoying much more the unique scenery and landscape (optional). – The visit to the Indian Cave, which is an small cave located inside one of the monolithics of about 250 meters long. Part of the tour in this cave is by boat, so at some points of the day when the cave might be full of tourist clients can easily wait for up to one hour to jump on the boats. I recommend to make a decision on the tour day. My husband and I had the pleasure of seeing a bit of Havana with Jesse Aguilar and Cuba Classic Tours on May 30, 2018. The combination of walking and touring in the classic car is a super way to get an overview of the city! From my very first contact with Jack Trout until Jesse and our driver dropped us off at the cruise ship terminal at the end of the tour, we were treated as if we were the only clients they ever had. Jesse was so understanding of my husband’s physical “slow pace”, and did all possible to tailor the tour to interest and accommodate us. Jesse is very articulate, and willing to share his country with visitors. He is knowledgeable, warm, and informative. He is very good at asking the right questions to get an idea of how to arrange the tour to cover areas and sights that will be of the most interest to his guests. We were able to bring an extra SD card, and Jesse took dozens of pictures to document our “People to People” experience for us. The documentation, as well as the memories, are invaluable. The tour is a great value! We were cruising with NCL, and the cost of the tour is a third the amount of a ship arranged tour. The car only accommodates two or three passengers, so it is a private tour; easy to ask questions, get little known details of the sites, and bask in personal attention! If you are shopping for a Havana/Cuba tour provider, Cuba Classic Tours should be your only stop! For value, for quality, for comfort, and for a great experience, whether one day or several, choose Cuba Classic Tours. Thanks so much, Jesse and Jack! We Are Very Proud To Be The #1 Fly Fishing Company In The World On Tripadvisor. The owner is selling the property with two different buying options! 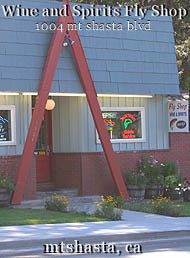 The Missouri Riverside Lodge is located in one of the most scenic areas in Montana. Sitting in the Missouri River Canyon between Holter Reservoir and Cascade, MT, the Lodge is in an area that boasts majestic vistas of the amazing geologic formations and natural beauty that caught the attention of Lewis and Clark and other adventurers . Located between Glacier and Yellowstone Parks and just a short jaunt to the Gates of the Mountains and Holter Lake, the Lodge is one of a few commercial lodging facilities in the Canyon area. 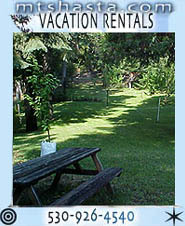 It is an ideal location for all forms of outdoor recreation. It is a great launching location for adventurous and casual outdoors people looking for an opportunity to fish, hunt, hike, photograph, and explore!